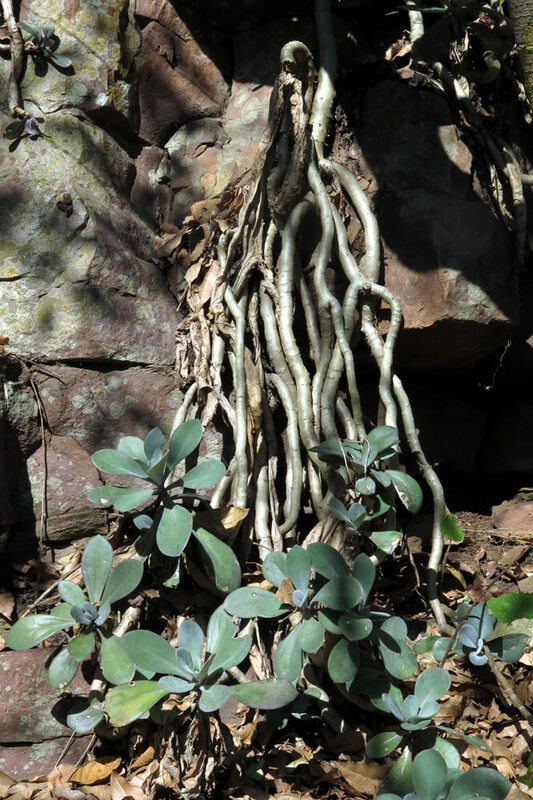 Krantzkloof is not a place that one typically associates with the succulent plant life form. Rather, if one imagines a place rich in ‘succulents’, it is more likely that the desperately dry hillsides of Arizona come to mind, a Wild West scene with Barrel cacti and Joshua trees. However, many would be astonished to learn that southern Africa is actually the most succulent-rich region in the world, with nearly 5000 succulent species. Perhaps most surprising is that beyond our familiar aloes, these special plants are not wholly restricted to the Karoo regions, or the Richtersveld along the arid West Coast. 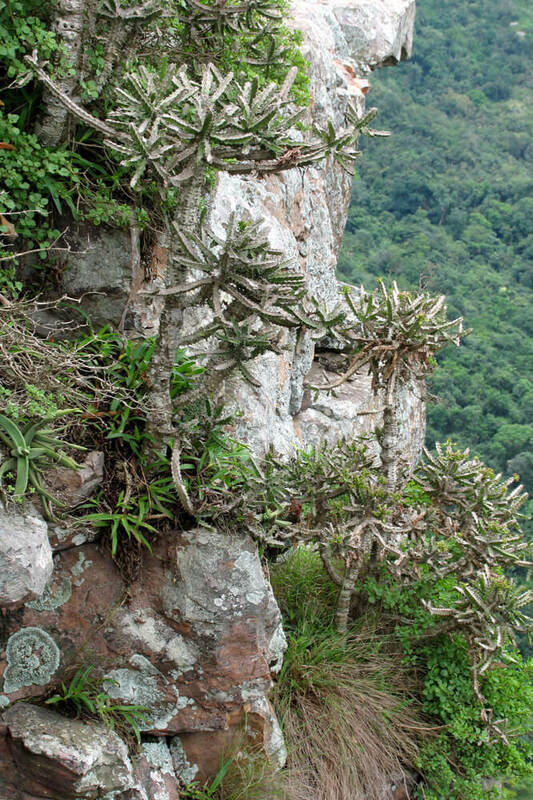 Many succulents occur also on the moist eastern seaboard of South Africa, where they are usually restricted to specialist habitats such as cliff faces and other rocky, well-drained sites. But what then is succulence in plants? When is species succulent and when not? And can a plant be something in-between? Succulents are plants that draw up and store water in one or more of their organs, to enable them to actively grow during periods of drought. Typically, such water storage takes place in roots, stems or leaves, which sometimes form specialised organs such as bulbs and caudices. The extent to which succulence is expressed does vary, with the result that some species are classified as ‘semi-succulents’. As residents of the Outer West, we realise that there is not much natural habitat left in our area. We may enjoy our leafy suburbs but for the most part these are not natural in composition. Where once expansive grasslands dotted with forested ravines would have met the eye, we now look out on a tangle of roads and pylons and cell phone masts, all connecting the sea of houses and estates that have replaced them. 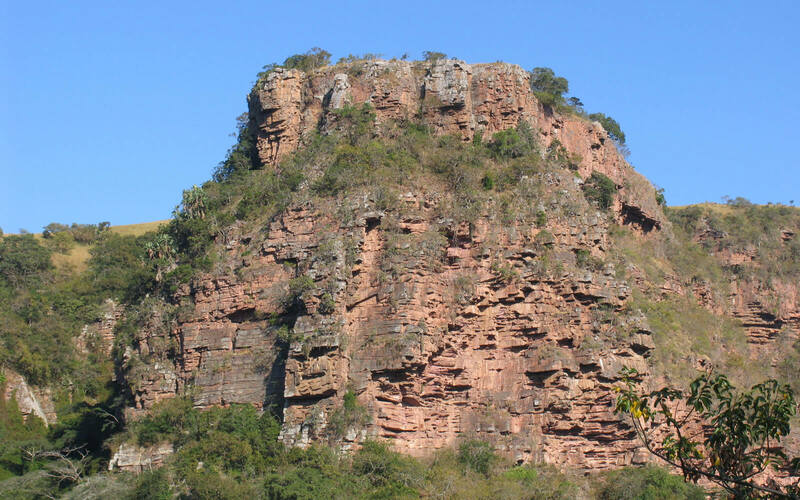 Of course there are survivors—we do have some gems to treasure, the likes of Krantzkloof Nature Reserve—where long before the arrival of man, an abundance of succulent species were already installed. Fortunately, many of these still occur along the very edges of krantzes, or on ledges on cliff faces, even in the shady depths of the gorge. 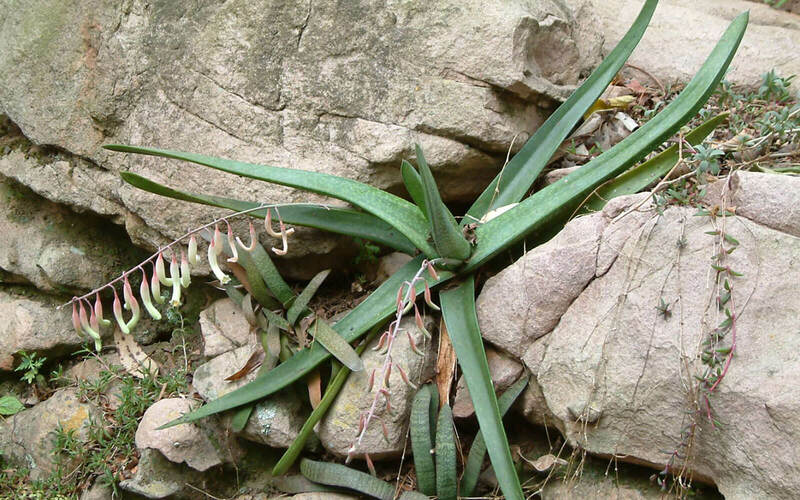 At times succulents share cliff faces with various geophytes, including Gladiolus cruentus. The niches of our local succulents vary greatly, from perennially moist streamsides in deep shade, to fully exposed, hot and dry sites. Often, succulent plants are encountered with their roots deriving sustenance from the shallowest of soils, sharing their habitat with other species that have either adopted the same life strategy, or which have an ability to desiccate and later revive when the rains start; the so-called resurrection plants. 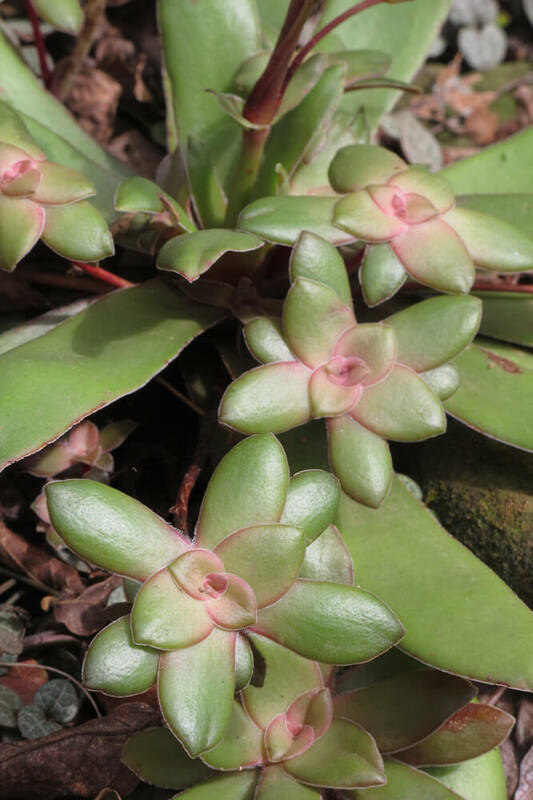 This article intends to provide an introduction to several local succulents, to reveal local diversity, life-form adaptations, and the simple beauty of this intriguing group. With its thick downy leaves and large yellow daisy flowers appearing in autumn, Caputia medley-woodii (previously placed in the genus Senecio) is undoubtedly one of the most attractive species in the gorge. It may occasionally be found along the tops of krantzes in the partial shade of small trees and shrubs, especially in the Nkutu section. At the time of his death in 1915, John Medley Wood, the great local botanist and Director of the Durban Botanic Gardens was busy describing it. This task was only completed several years later, when the English botanist John Hutchinson commemorated Wood in its name. Brachystelma pulchellum may easily be overlooked and trampled upon as one walks along the sunny sandstone pavements at the very edge of the krantz, for it is only there that this species grows. It is usually encountered growing the base of grass tufts sprouting in the shallow soil pockets. Several soil-hugging shoots radiate from a small underground water-storing tuber, a feature that confers its succulence. 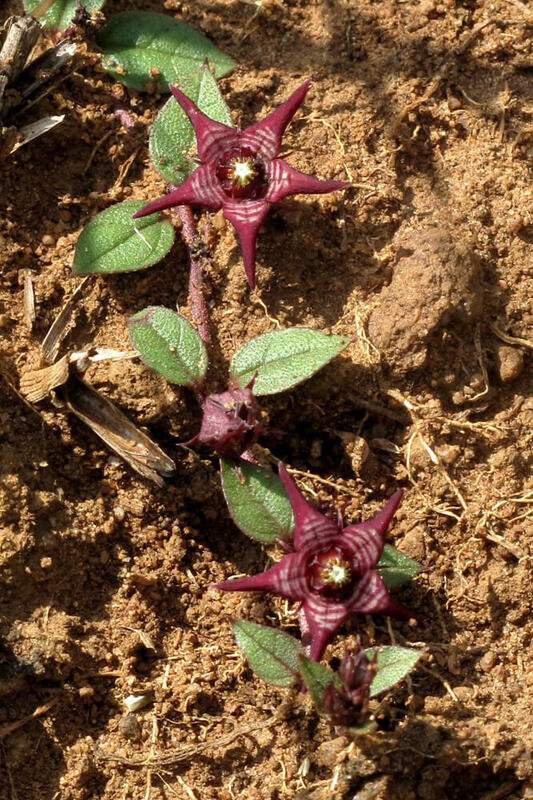 Tiny star-shaped flowers are borne along the shoots, each maroon bloom contributing a foul smell to attract the flies that pollinate them. 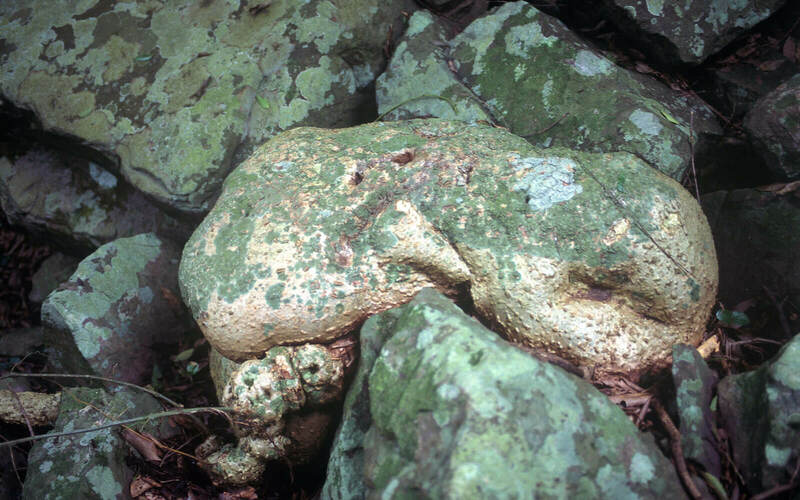 This species is largely confined to western eThekwini, so the safeguarding of sites such as Krantzkloof is critical to its long-term survival. The specific epithet ‘pulchellum’ means beautiful, for obvious reason. Euphorbia tirucalli is possibly the most widespread of all the succulent euphorbias, occurring from the Arabian peninsula along the East Coast of Africa, south to KwaZulu-Natal. It has been suggested that the species was moved in antiquity with migrating peoples, who used it as a barrier fence to protect their homesteads and stock. 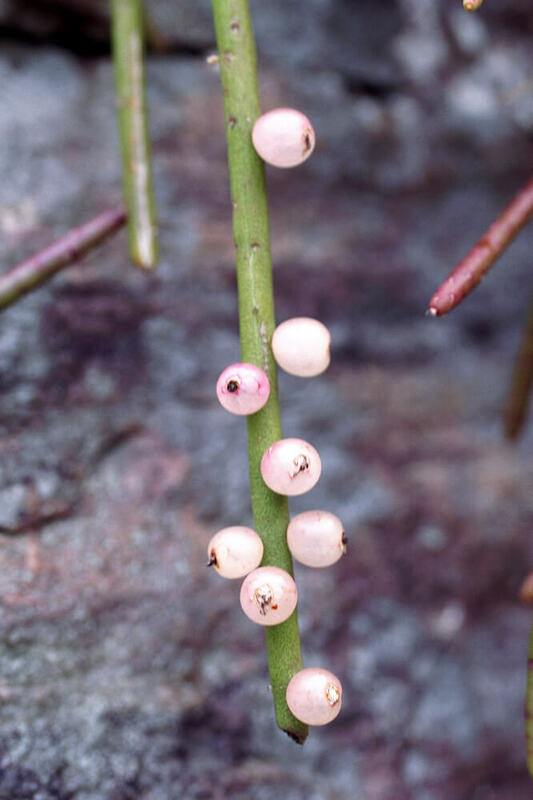 The stems contain a highly irritating white sap that causes excruciating pain when in contact with the eyes. 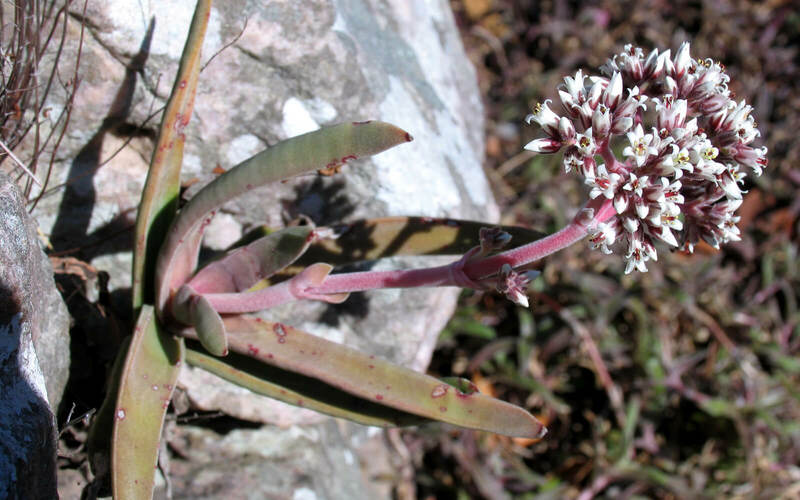 Crassula inandensis, named after Inanda where it was first found, is a succulent-leaved species that is occasionally found in deep shade, growing in moist soil alongside forest streams. 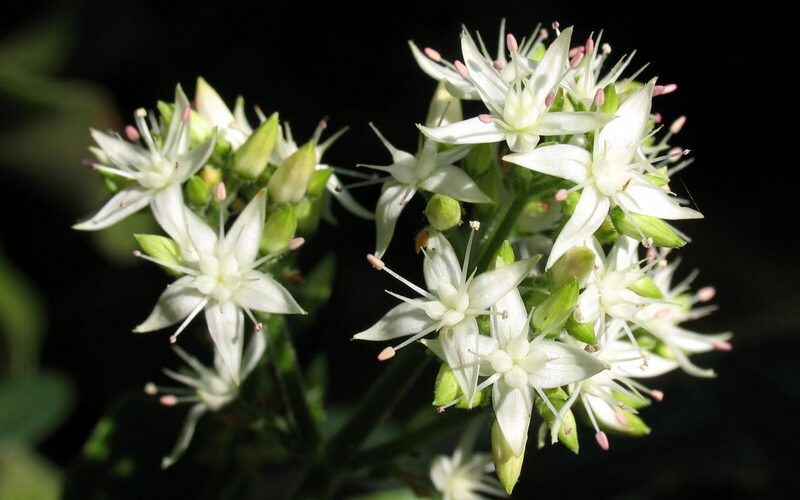 During summer, white star-like flowers are produced in small inflorescences, half-hidden by the surrounding leaves. 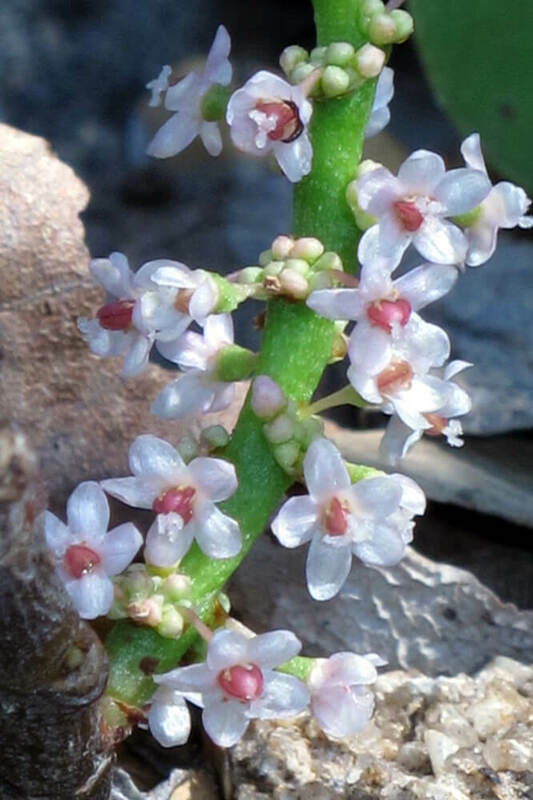 Each flower has sepal lobes with characteristically swollen tips, which from beneath resemble the suckers on a tree frog’s toes. 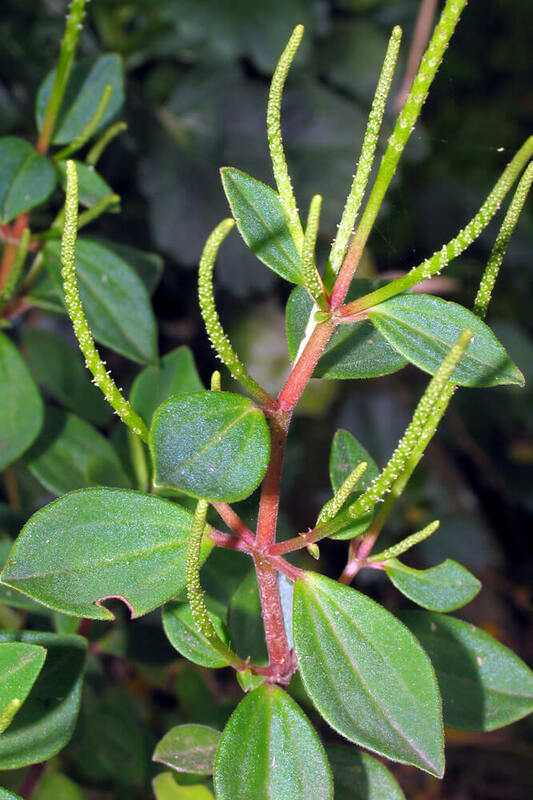 Spekboom, Portulacaria afra, is a species we think of as commonplace in Eastern Cape thicket (Spekboomveld). 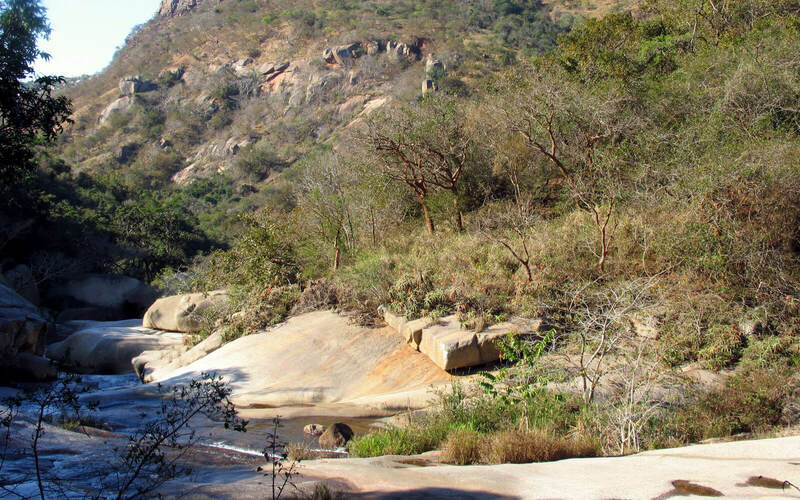 It is much less usually encountered in KwaZulu-Natal, except along hot krantz edges on north-facing aspects. Flowers range in colour from pink to white, with our local form exhibiting very little pink tinting. 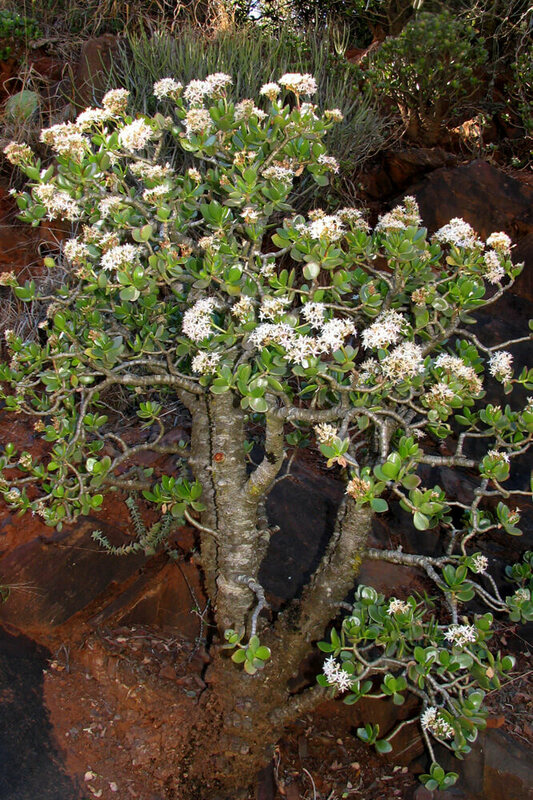 Specimens may be encountered in the Nkutu section of Krantzkloof, where it shares its habitat with another robust and shrubby succulent, the similar-looking Crassula ovata. The Money plant Crassula ovata, so named for its round dollar-sized leaves, is a thick-stemmed shrub not unlike a bonsai baobab in form. Its pink-infused flowers are presented in dense clusters at the shoot tips during the winter months. 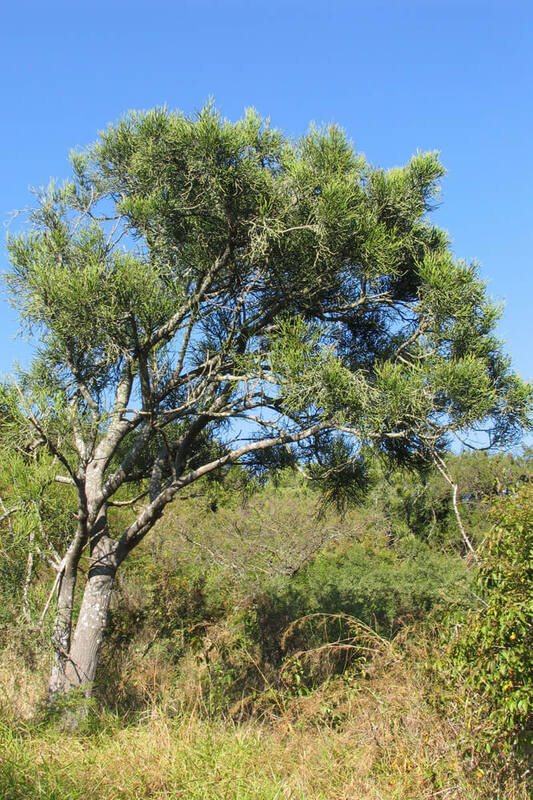 In common with the Spekboom, C. ovata is more commonly met in the Eastern Cape province. However, unlike Portulacaria afra, the leaves are not palatable to stock. 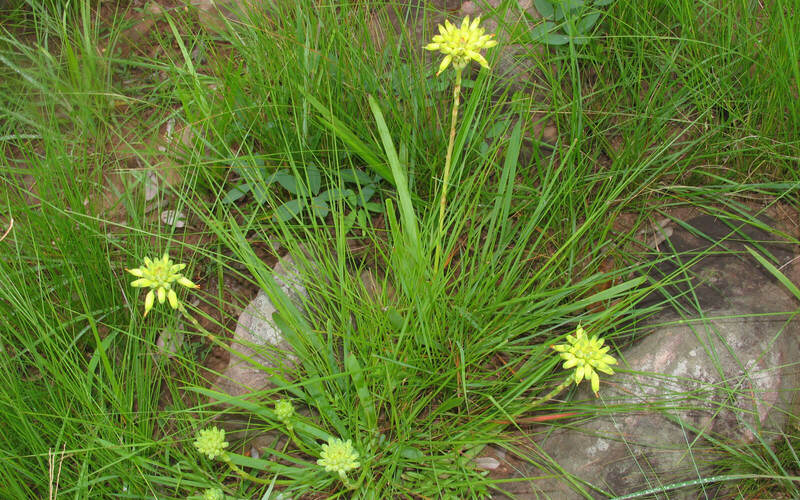 Bulbine natalensis is a relative of the aloes, in the family Asphodelaceae. It is considered by some to be a highly variable species occurring from around Knysna in the Western Cape northwards to the Eastern highlands of Zimbabwe, although not yet documented from Limpopo province. 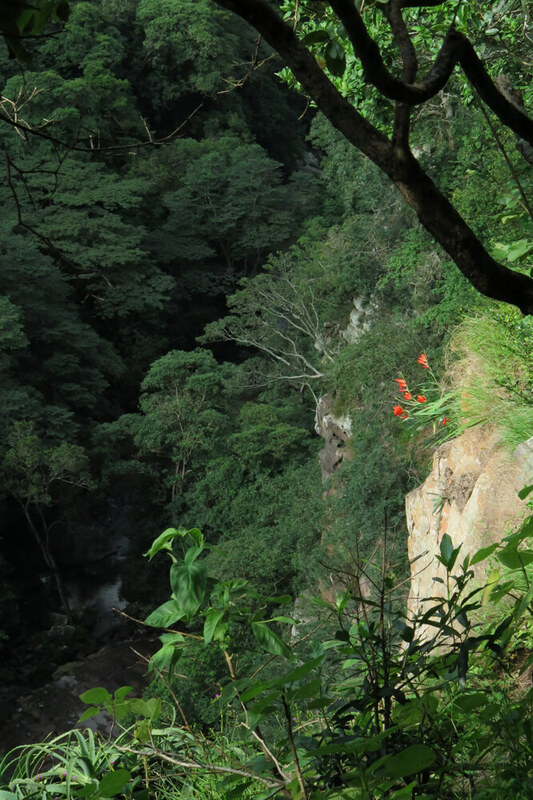 In the Kloof it is often encountered both along exposed cliff edges—when the plants become compact—or on rock faces in forest shade when they become quite luxuriant. 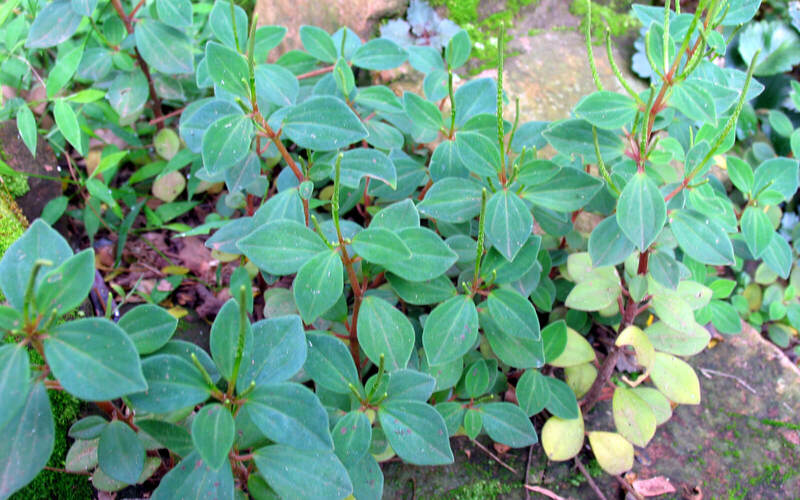 The plant figured was photographed in a shady site and is seen with its large, delicate leaves that may easily be bruised. 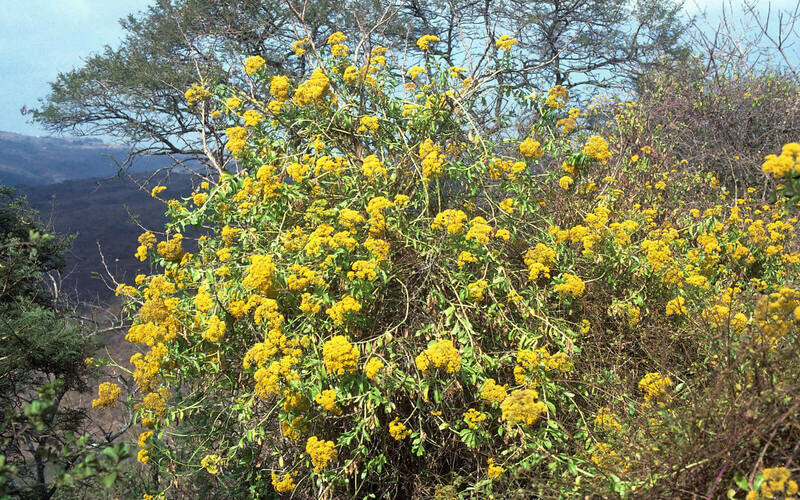 The dense heads of yellow flowers are produced during many months of the year, particularly during winter through early summer. As with other members of the genus Bulbine, this species has flowers with characteristically hairy filaments that bear the anthers. 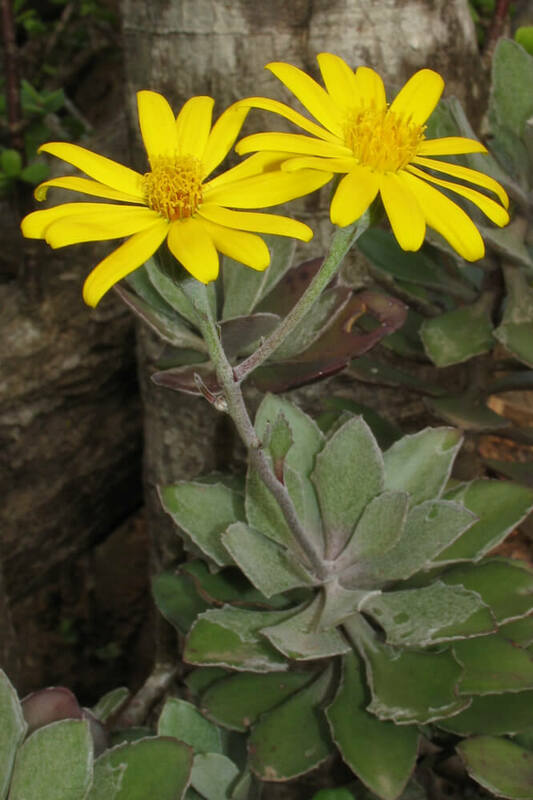 “Heavily honey scented” is how the blooms of Senecio pleistocephalus have been described. 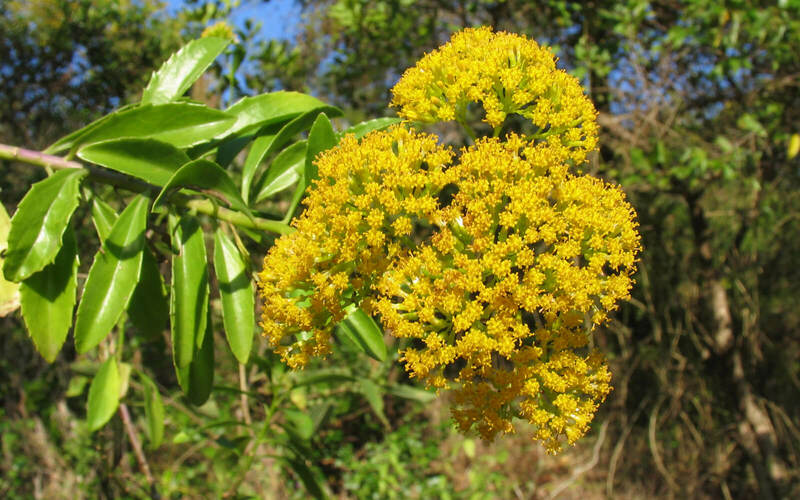 The dense orange-yellow inflorescences are borne at the end of long straggling stems that clamber through and over neighbouring vegetation, which sometimes becomes smothered. The light green leaves, each with coarse teeth, are mostly clustered towards the shoot ends. This species prefers the lower-lying, eastern bushveld section of the reserve, and is accordingly easily located in the vicinity of Ten-Feet. 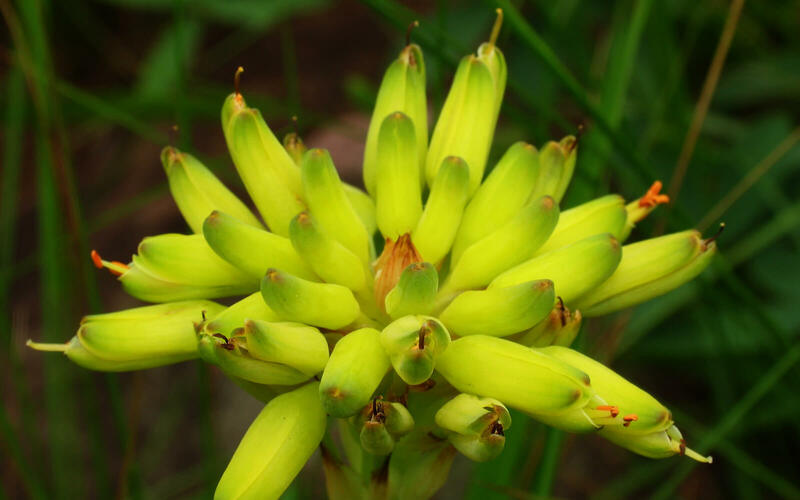 Probably the most obvious succulent in Krantzkloof is the frequently encountered Krantz aloe, Aloe arborescens. It lives up to its common name, and throughout the gorge system is associated with cliff ledges on all aspects. Rosettes of succulent recurved leaves top each of the many branches that comprise each plant, and from their crowns the cone-shaped inflorescences of orange flowers appear each winter. In more shady positions the plants are spindly and less branched, and flower far less spectacularly than those in full sun. Gerrardanthus tomentosus, a member of the Cucumber family (Cucurbitaceae), has separate male and female plants. 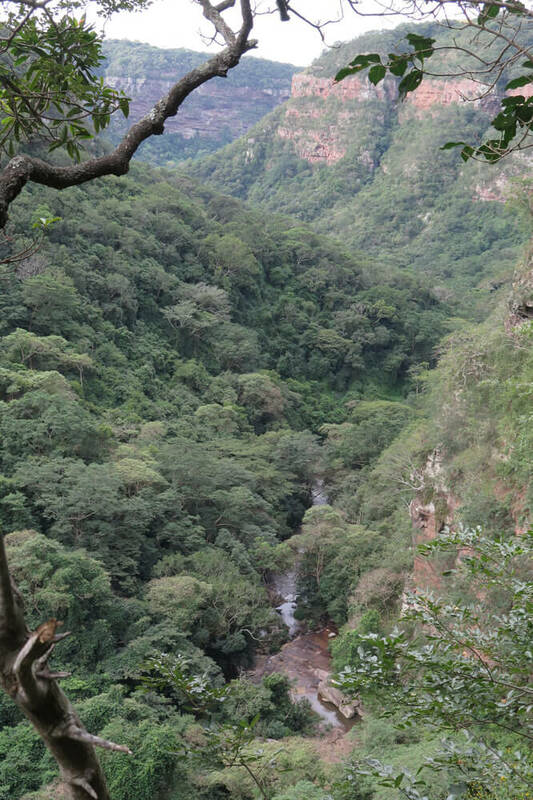 Until the discovery in Krantzkloof of plants with enormous caudices the species was thought to be functionally extinct, with only a few male plants left at a site near Chatsworth. Plants are found on sandstone screes at cliff bases, and the caudices may be mistaken for small boulders, such is their size and colouring. 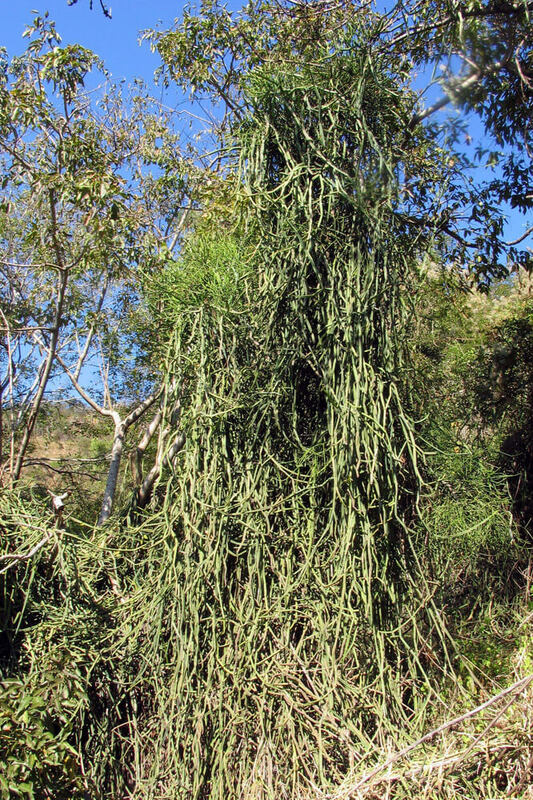 From their apex long, climbing shoots range into the canopy above, bearing alternate hairy leaves and climbing with the aid of tendrils. The caudices are succulent and a preferred food of porcupines in our gorge. 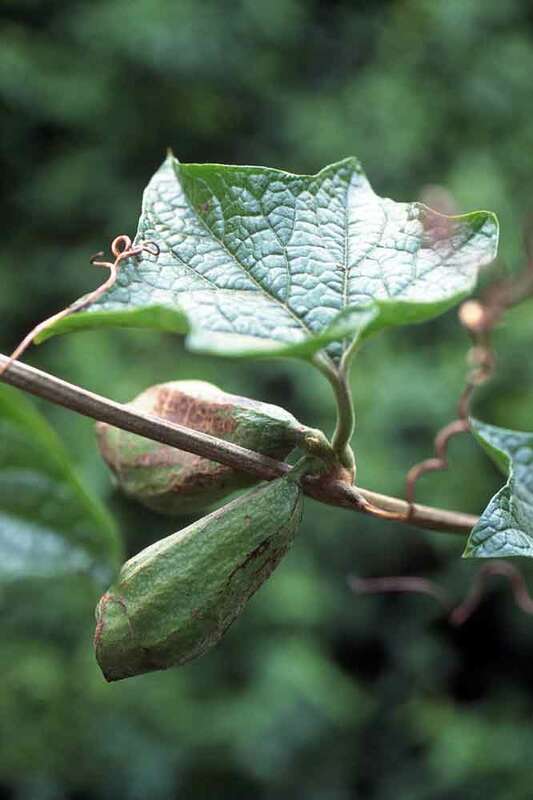 The genus Gerrardanthus is unusual in that it does not produce fleshy fruits (visualise a pumpkin) but rather dry, woody capsules. From their open ends topple dry winged seeds that are carried on the wind. Gasteria croucheri subsp. 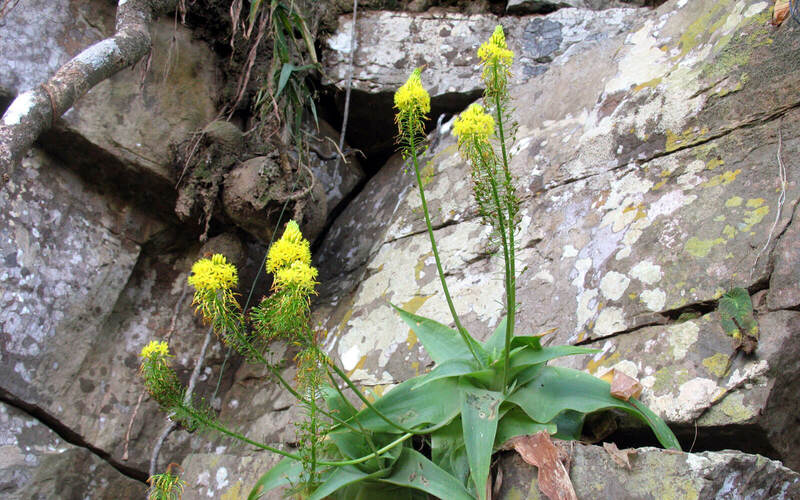 pendulifolia in the aloe family was described from cliffs in the vicinity of Westville. 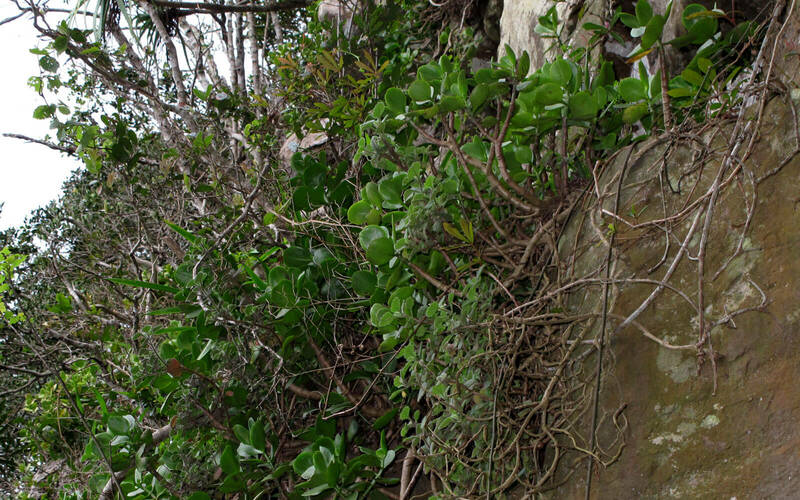 This well camouflaged species is more or less restricted to the Outer West region of eThekwini, and is one of three cliff-dwelling subspecies of G. croucheri, all of which are popularly gathered and traded as Zulu protective charms. 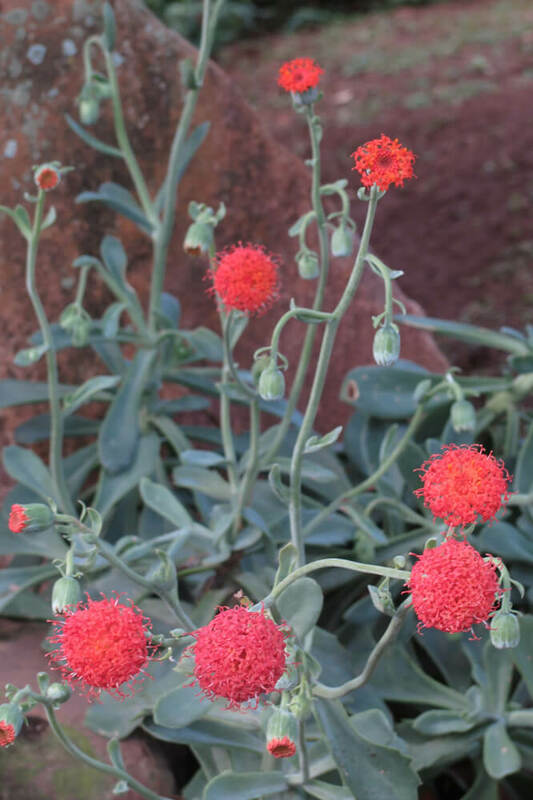 Kleinia fulgens of the daisy family (Asteraceae), found along shady cliff ledges, has bright red flowers that contrast attractively with their chunky blue-grey leaves. The leaves may have entire margins, or possess prominent blunt teeth. These are arranged in pairs along much-branched succulent stems that may dangle up to a metre in length. Plectranthus purpuratus subsp. 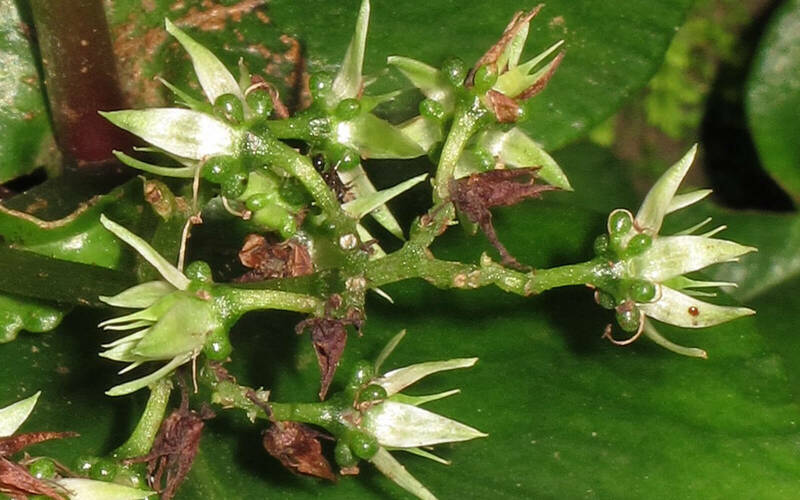 purpuratus (Lamiaceae) is the only one of three subspecies to occur within eThekwini. 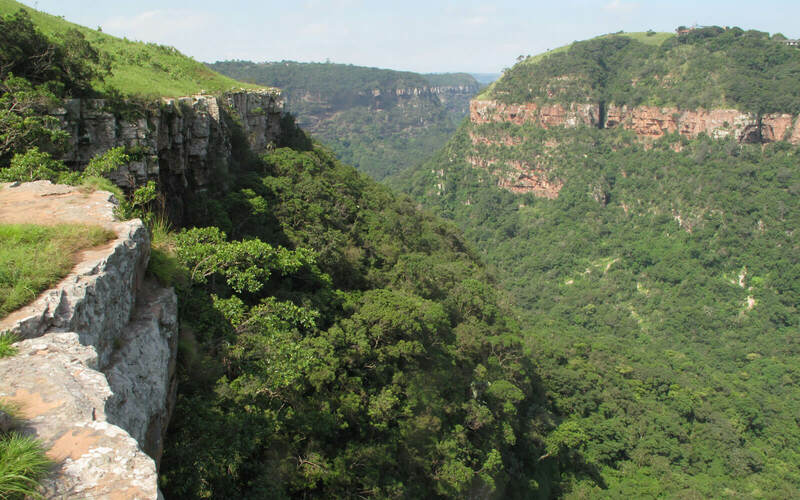 It is mostly restricted to the area between Pinetown and Pietermaritzburg, although it does occur as far north as the Ozwatini Plateau. 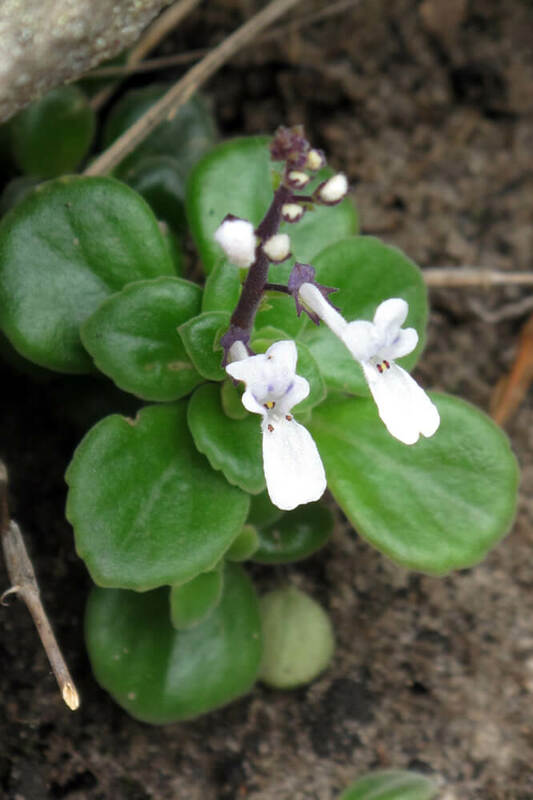 It grows on cliff-top ledges, often in full sun, forming low-growing mats of tight-packed succulent leaves which have purple undersides. The purple colouration as well as the thickness of the leaf is especially pronounced when plants are water-stressed. Rather inconspicuous heads of small white flowers are produced in autumn. Cissus quadrangularis (Succulent-stemmed Wild Grape in the Vitaceae) is a robust climber that can swamp the trees over which it clambers. 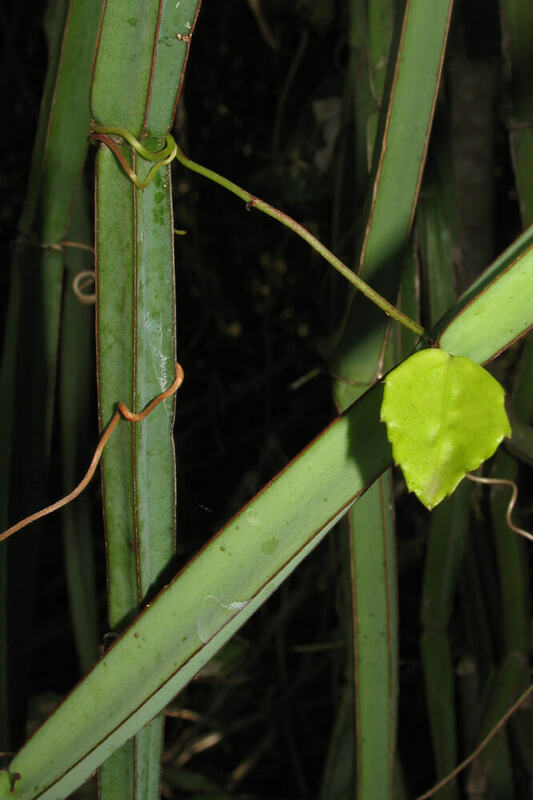 The four-angled stems are jointed and although leaves develop these soon drop off, leaving the stems to take over the function of photosynthesis. 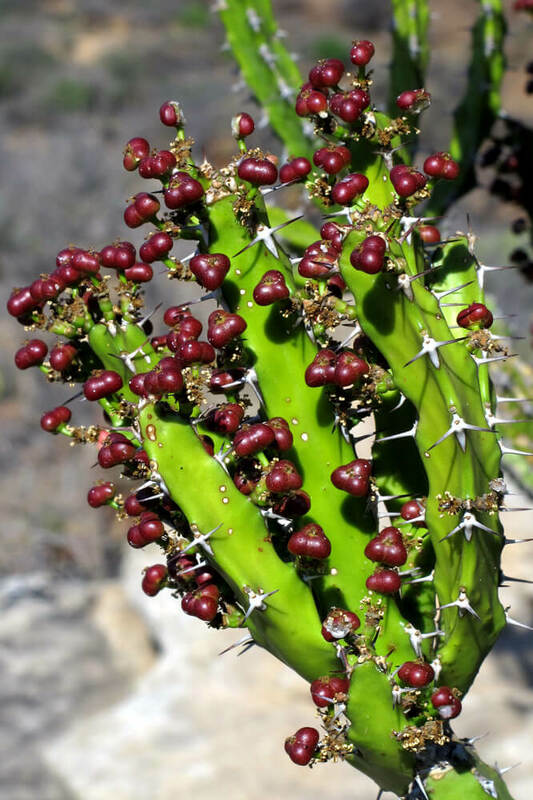 The greenish flowers are rather insignificant, but the warty red fruits that follow are more eye-catching. As an inhabitant of dry woodland this species is only likely to be encountered in the lowermost regions of the reserve, especially near Ten Feet. 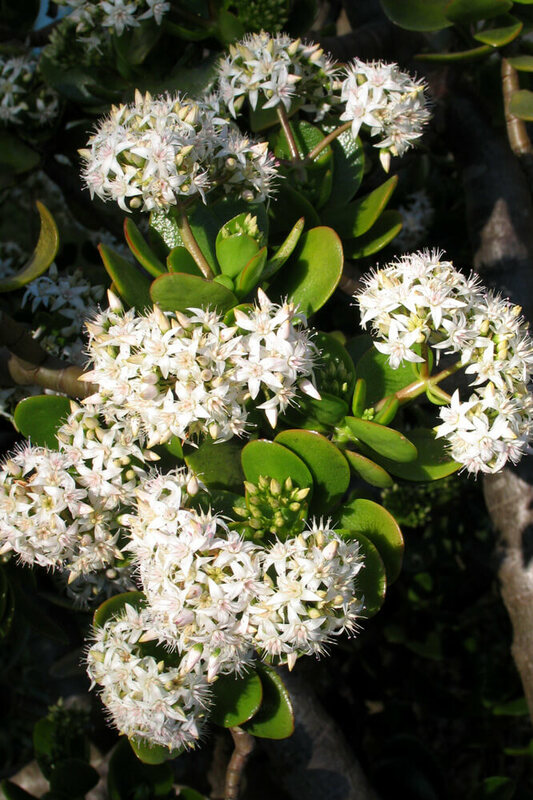 Along the warmer aspects in the reserve one of the most commonly encountered succulents is Crassula perfoliata var. heterotricha, an attractive white-flowering specialist of krantz edges. The attractive grey-green pointed leaves are clustered at the ends of brown, branching stems which often dangle, reaching to about 50 cm in length. Each of the white tubular flowers has a distinctive red style. 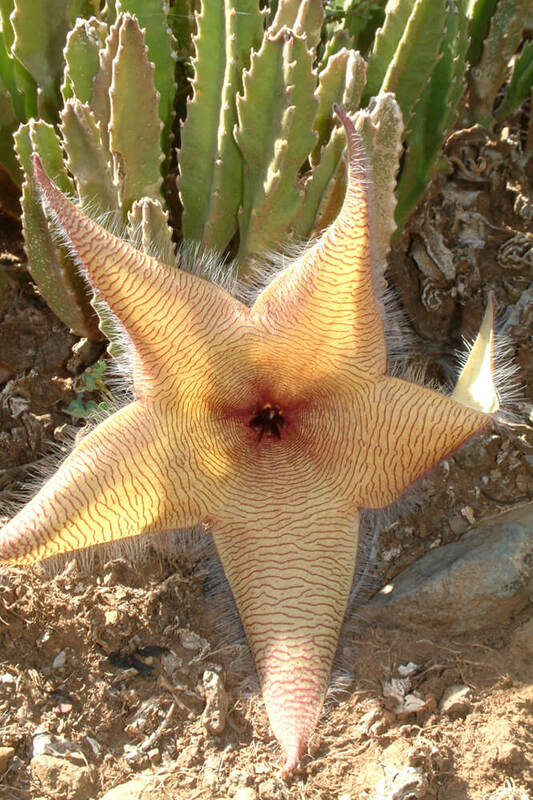 Stapelia gigantea (the Giant stapelia) is not commonly encountered in Krantzkloof but does occur in exposed sites where they form colonies at the base of hot, north-facing cliffs. This plant, familiar to many gardeners with rockeries, bears star-shaped flowers up to 40 cm in diameter, each flower lobe yellowish with concentric maroon bands, and covered in long wispy hairs. They are foul-smelling and are visited by carrion flies. 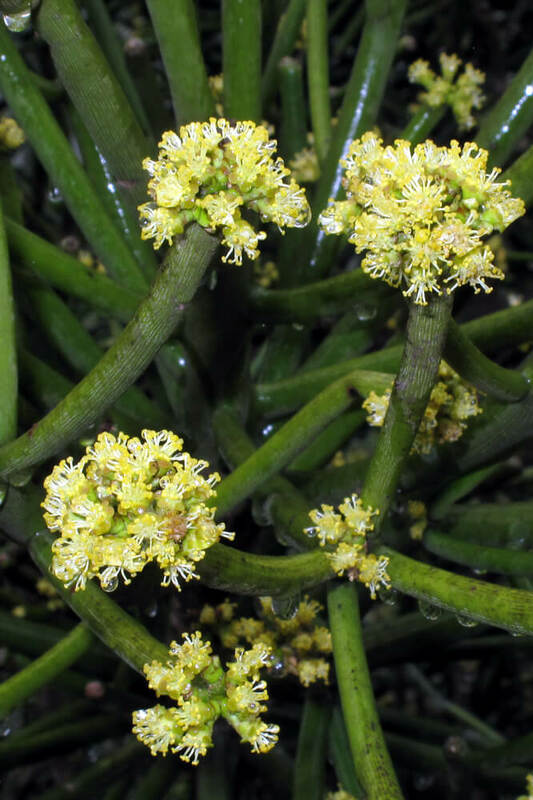 The highly-branched succulent stems are four-angled, with blunt teeth and a covering of velvety hairs. The Cactaceae, a family of about 1700 species has only a single representative in continental Africa, Rhipsalis baccifera subsp. mauritiana. This species is the only cactus with a natural distribution outside of the New World. 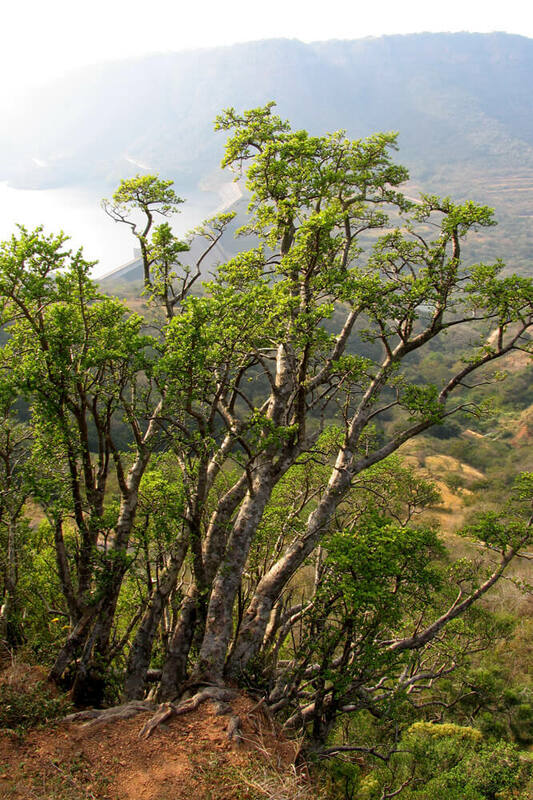 It belongs to a group known as the mistletoe cacti, which has its centre of diversity in the rainforests of Brazil. 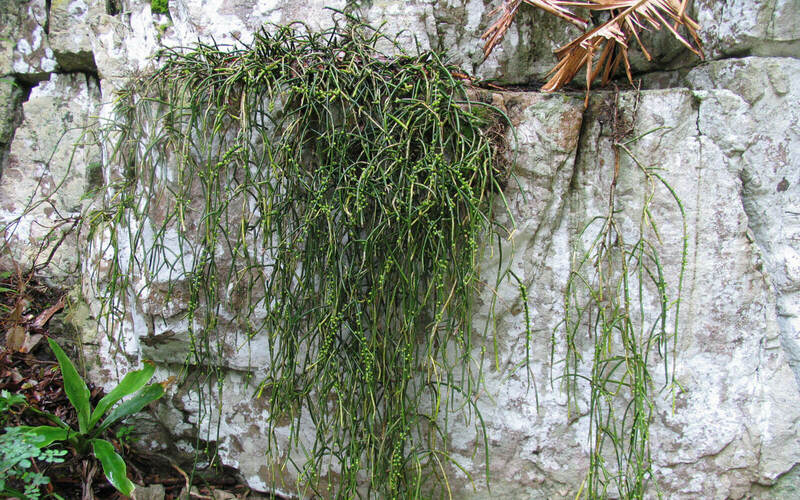 In Krantzkloof, Rhipsalis baccifera subsp. 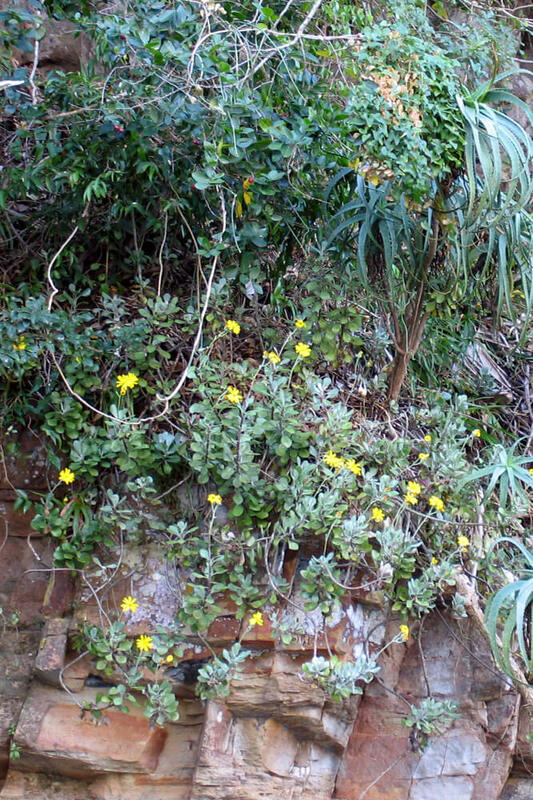 mauritiana is usually found growing on cliff faces and other rocky sites, both in full sun and semi-shade. Unlike many cacti familiar to us from horticulture, it does not bear sharp injurious spines but rather harmless hair-like ones. Whereas many cacti bear colourful and showy flowers, this is not the case with the rope cactus, which has tiny, dull blooms that are easily overlooked. Fleshy, bird-disbursed berries follow. Many local gardeners will be familiar with the pink-flowering Fairy crassula (C. multicava subsp. 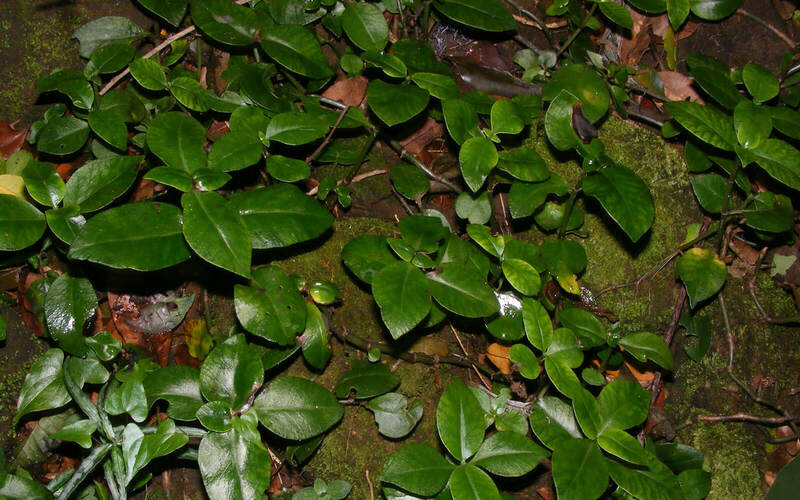 multicava), which is used extensively as a bedding and rockery subject. Relatively few will know of its sister taxon, the much less widespread C. multicava subsp. floribunda, which is occasionally encountered in our kloof in shaded ravines. The vegetative plant parts of this subspecies are either hairless or covered with a light fuzz of short hairs. 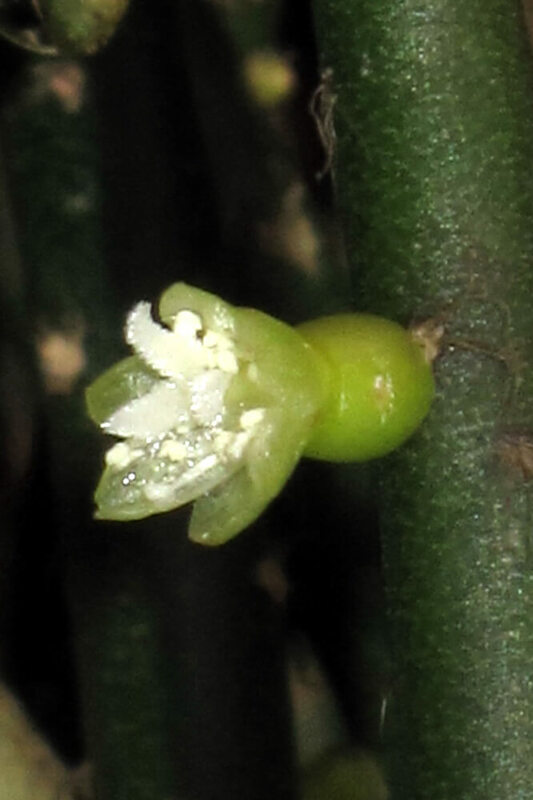 During winter it bears dense inflorescences of pure white flowers, and after flowering does not produce the myriad of tiny plantlets that so characteristically bud off the spent inflorescences of subsp. multicava. Euphorbia evansii is short tree-like Euphorbia, single-stemmed to 10 m, with several stout branches arranged mostly towards the apex. Each of these branches is three-angled and covered in stout pairs of spines that gradually wear off as the stems age. 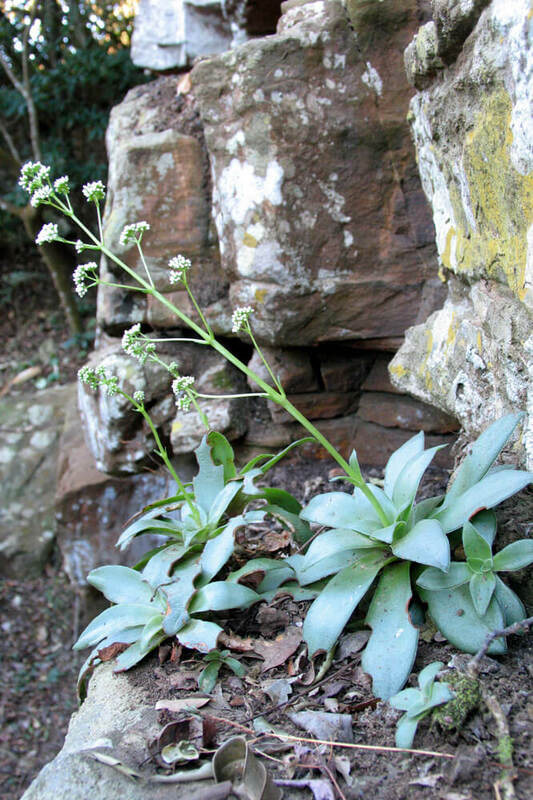 Plants in Krantzkloof are found hanging precipitously along rock faces, often growing with Crassula perfoliata var. heterotricha, Aloe arborescens and Aeollanthus parvifolius. 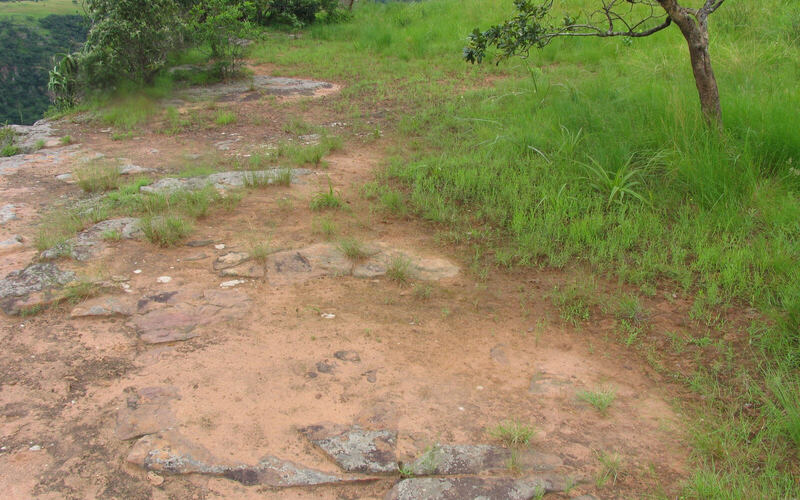 The grasslands of Krantzkloof are less rich in succulent diversity than the rocky areas in this reserve. 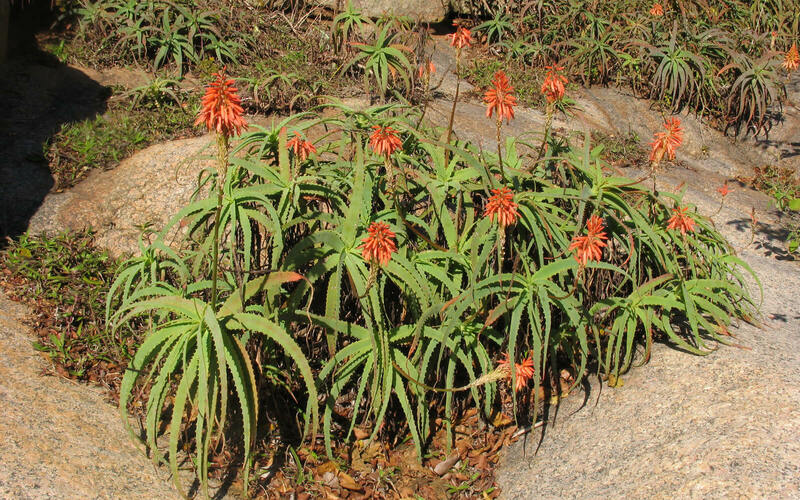 However, one grassland succulent is the rather cryptic Aloe linearifolia, a so-called grass aloe which has narrow leaves presented in a fan-like arrangement. The lemon-yellow racemes of tubular flowers appear during mid-summer. The Pepper family (Piperaceae) has at least one succulent representative in Krantzkloof, the Large wild peperomia, Peperomia blanda. This species grows in dry shady sites, mainly in shallow rock pockets at the base of cliffs. Each of its lightly hairy leaves has three prominent veins arising from its base, and leaf blades coloured a ‘dusty’ green that contrasts pleasantly with the reddish stems. These shin-high succulents flower during summer, when from the shoot tips long spikes arise, each covered in a multitude of minute greenish-yellow flowers. In the forest shade, growing along dry rock ledges, small colonies of the widespread Crassula orbicularis (Stone crassula) are to be found. 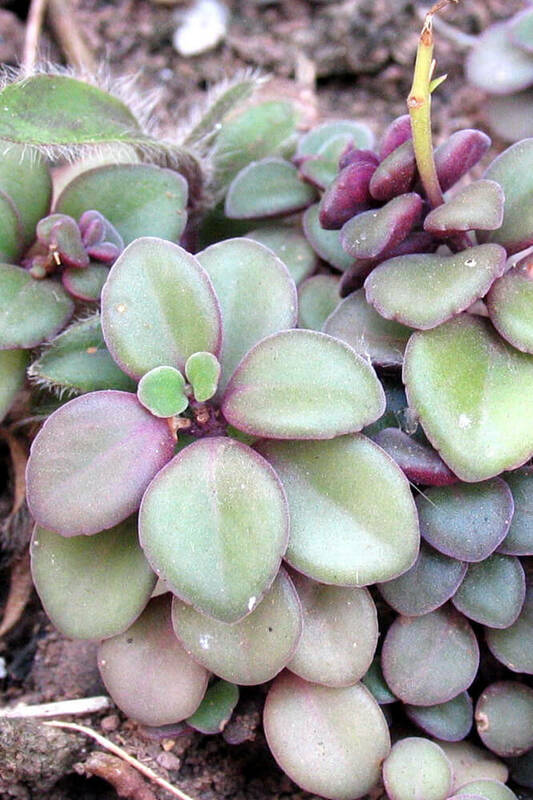 Plants present attractive rosettes of lance-shaped succulent leaves, and at times produce thin runners that ‘abseil’ below the mother plant. Heads of tight-packed small white tubular flowers develop during winter. Neil Crouch, a Kloof resident, has a Ph.D in botany from the University of Natal and works in the biodiversity economy field. 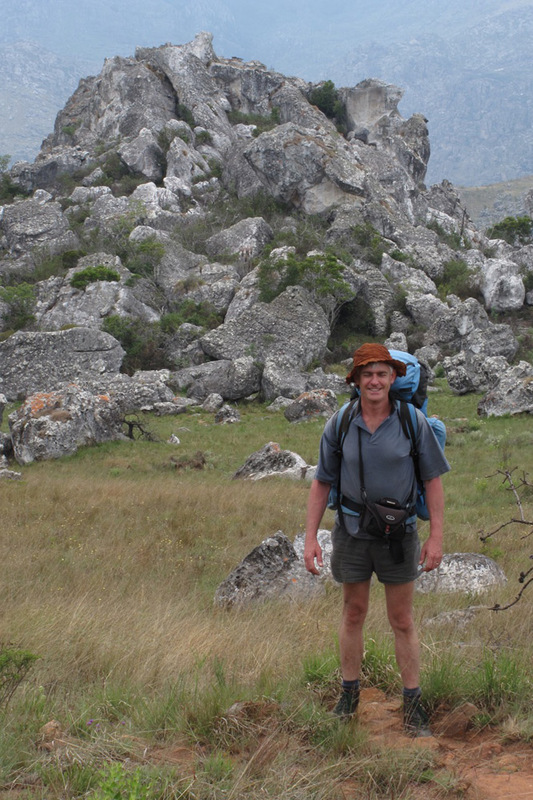 He has authored numerous scientific papers and articles and co-authored Field Guide to Succulents in Southern Africa, and Ferns of Southern Africa: A comprehensive guide, both published by Struik Nature.